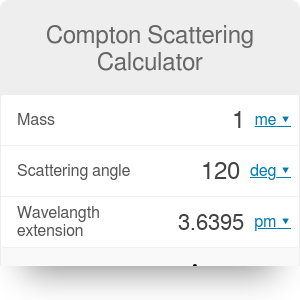 Compton scattering calculator is a tool which helps you to find the wavelength extension of a photon scattered by any angle in this particular case. 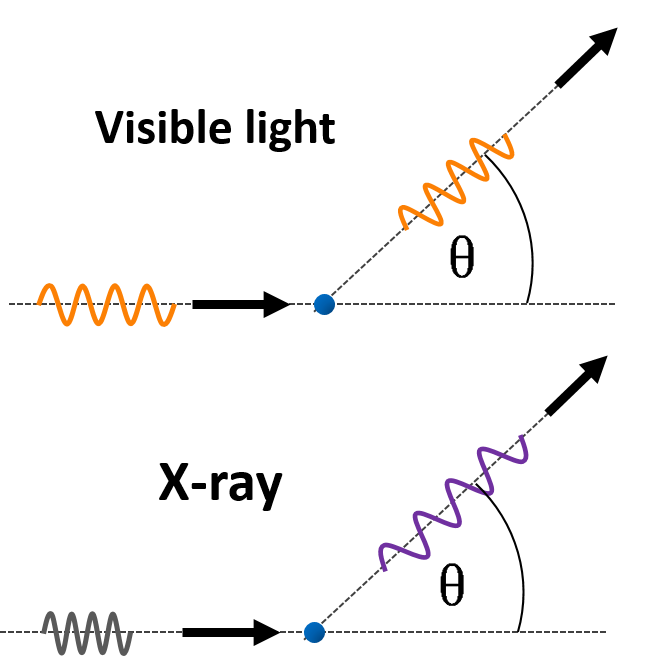 Compton effect is among the possible interactions between light and matter. After this process the wavelength of the photon increases and the traveling direction changes. It is one of the phenomena which confirm the corpuscular nature of light. 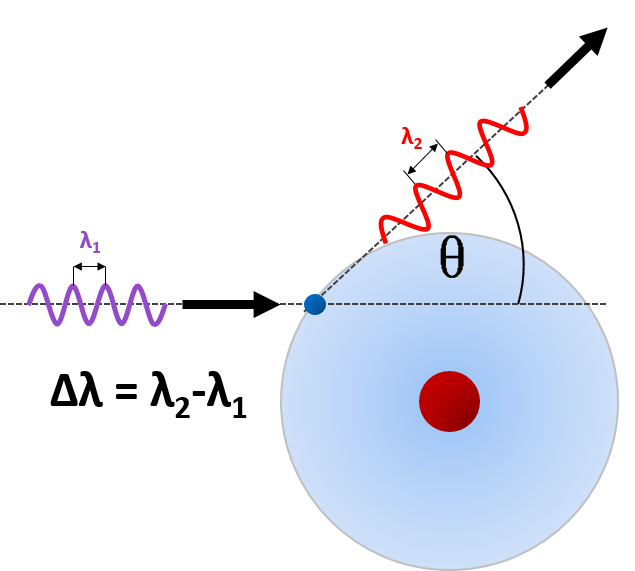 A single photon can be treated as a massless particle which transports energy depending on its wavelength or frequency. When the photon collides with another particle, let's say an electron, its propagating direction can change. The process can be described as a classical elastic collision between two bodies, which means that both energy and momentum are conserved. If the electron is free or weakly bonded in the atom, we can assume that all of the initial energy comes from the incident photon. This assumption is well satisfied for X-rays, for which Compton effect plays an important role. θ is the angle between the directions of scattered and incident rays. h / (m * c) is a Compton wavelength of the object which causes the scattering. It can be easily found that the most significant extension of photon wavelength happens for θ = 180°, which equals two Compton wavelengths, whereas for θ = 0° there is no energy loss, which corresponds to no scattering process. Let's calculate the wavelength extension of a photon which is scattered on the free electron by an angle θ = 80°. work out a wavelength extension: Δλ = 2.426 pm * (1 - 0.174) = 2.004 pm. Now let's consider two photons of different initial energies: 2 eV and 20 keV, which correspond to red-orange light and so-called hard X-ray respectively. The values of wavelengths can be easily found with photon energy calculator and equal about 620 nm and 62 pm. You can estimate the wavelength extension as the percentages of initial wavelengths, which are 0.000323% and 3.23% respectively. These results mean that Compton scattering is practically negligible for visible light, whereas for X-rays a noticeable fraction of energy changes. Compton Scattering Calculator can be embedded on your website to enrich the content you wrote and make it easier for your visitors to understand your message.